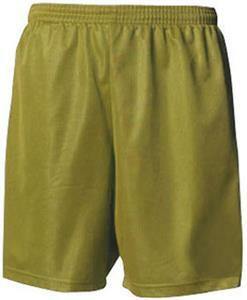 A4 Adult Lined Micromesh Shorts. Body: 100% Polyester mesh. Liner: 100% polyester. Moisture Wicking. Odor Resistant. Stain Release. 1 1/2" Cover elastic waistband with inside draw cord. Top Selling Item. AXS - INSEAM 7" AXS - INSEAM 9" AS - INSEAM 7" AS - INSEAM 9" AM - INSEAM 7" AM - INSEAM 9" AL - INSEAM 7" AL - INSEAM 7" AL - INSEAM 9" AXL - INSEAM 7" AXL - INSEAM 9" A2XL - INSEAM 7" A2XL - INSEAM 9" A3XL - INSEAM 7" A3XL - INSEAM 9"
Inseams come in 9" or 7"
The Black shots fit fine but the light Blue ones ran much smaller. I ordered Large in both.